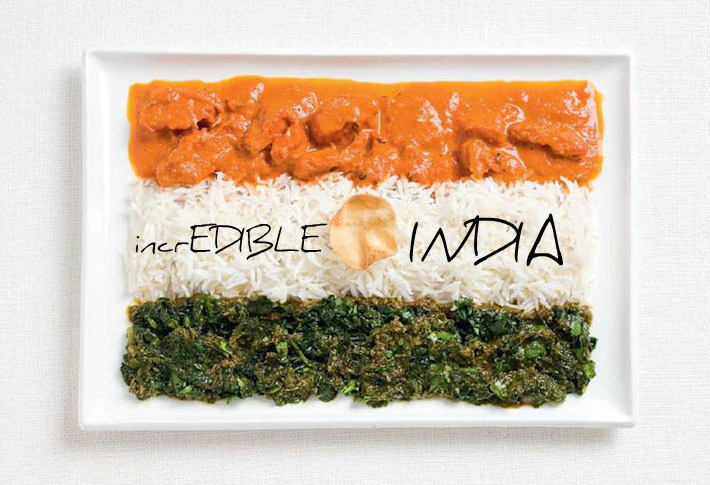 They call it Incredible India… but for many of us, it is EDIBLE INDIA!! 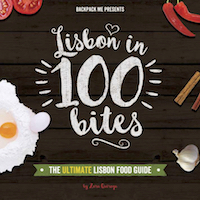 A country that feels like a continent, a cuisine that embraces millennia of traditions and cultural convergence… intense, rich, spicy, with impressive contrasts and nuances. Inviting for meat lovers, a paradise for vegetarians and deliciously accommodating for vegans too, India truly has something for everybody when it comes to food. Indian cuisine is as immensely vast and diverse as the country. And this is proven by 3 very different thali meals presented below, amongst the many more that exist in the sub-continent. 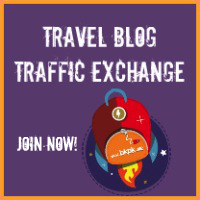 As much as this gora is fond of this all, I thought it’d be wise to ask for help to some of our fellow Indian travel and food bloggers. Together, we hope to take you on a mouthwatering voyage that will inspire you to come travel and eat all over India! Gol Gappa is the most loved street food of India. It is called Pani Puri in Western India, Puchka in East India and Pani Batashe in Central India. Like a true representative of Indian diversity, it changes flavors with every city and town. In the North it goes with potato and chilled water flavored with mint, tamarind and various spices. In the South it goes with boiling hot green peas and in the East just the flavored water. What is common is the way it is served one by one by the roadside hawker to the customers. 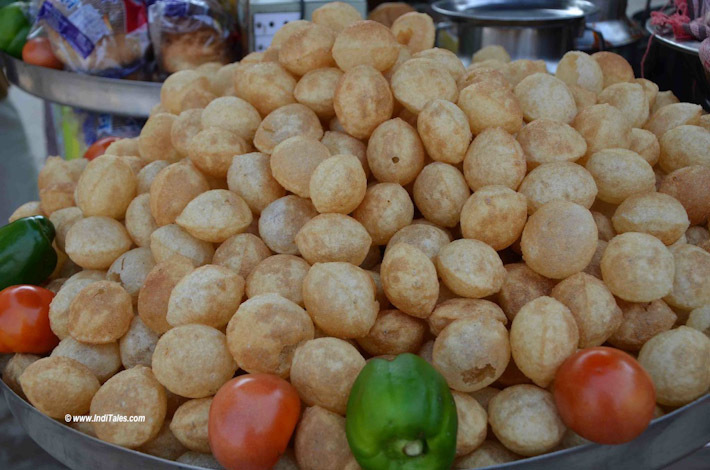 To have the real taste of Gol Gappa – you must eat it at a street vendor. Upmarket places have just not managed to replicate the taste of India’s best-loved street food. I can vouch for one thing – you can never have one Gol Gappa. Idly (or Idli) is the comfort food for millions of Indians, and one of the important staple foods in the South Indian household. Fermented rice and lentil batter is steamed in a circular mould with a little bit of oil. The process of making it may be a bit dainty, but what you get out of it is a round, soft, fluffy, tasty, lip smacking idly. This is best accompanied with Sambar, a lentil based vegetable stew smeared with ghee, or with any chutney varieties (dips made of tomato, onion, coconut). 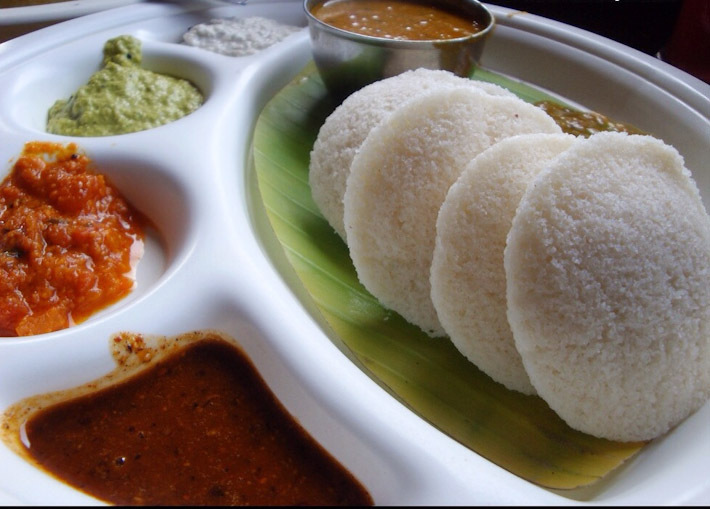 Idli can be had anytime of the day, and it’s considered one of the healthiest breakfasts in the world. Sri & I are very big fans of Idli and this is one comfort food we never say no anytime. Idli is best tasted in any South Indian restaurants and especially if you are in Tamil Nadu. Some of the restaurants that serve mouth watering Idli are Hotel Saravana Bhavan, Murugan Idly Shop and Ratna’s Cafe in Chennai. They are charged about Rs.10 onwards (depending on the type of restaurant you go to). A little secret: You are in South India, and you are so hungry. Order Idli! These are the fastest served foods in any restaurant! You order and get them in no time! If you are an ardent lover of fish and you happen to step into India, you must not leave the country without tasting the Bengali cuisine primarily found in West Bengal. The staple food of the people of Bengal is rice and fish, and Doi Maach (Fish in Yogurt Sauce) is a masterpiece of the Bengali cuisine. It is a very simple preparation and the blend of the right kind of spices is bound to leave an unforgettable flavor in your mouth. 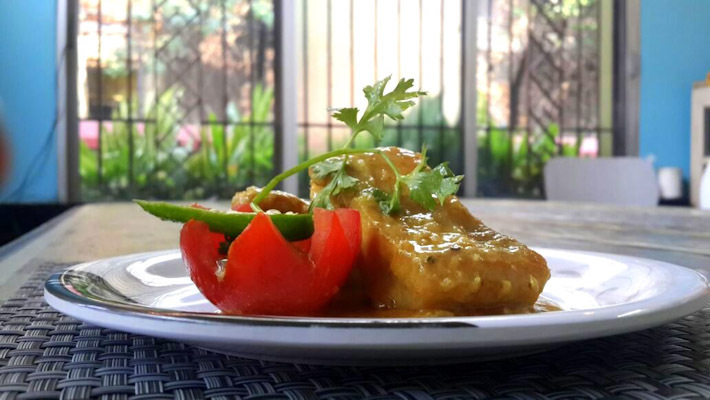 This dish is prepared by frying the fish and cooking it in a sauce prepared with yogurt. It is best enjoyed when served with steamed rice. Some of the restaurants where you can enjoy authentic Bengali cuisine are Oh Calcutta, 6 Ballygunge Place, Kasturi and Bhojohori Manna. A tip: If you want to enjoy the real essence of the Bengali cuisine, use your hands to eat. There’s no doubt that Sikkim is full of family-run shops offering delicious, melt-in-your-mouth, handmade momos. But there is more to Sikkimese food than that. 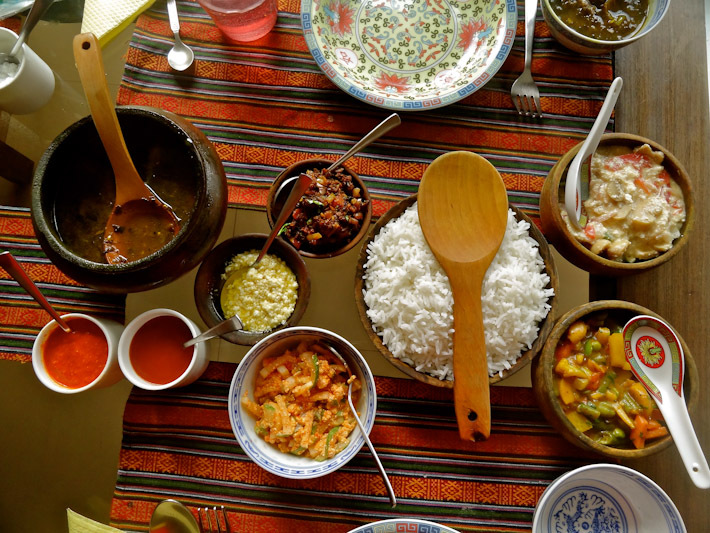 Try local, homegrown delicacies like gundruk (fermented Spinach soup) for a blast of flavors on your tongue, tingle your taste buds with dry, lightly spiced fermented soy, dig into flavorful vegetable curries, indulge in the regional Bhutanese Ema Datchi and its Sikkimese cousin, and gulp it all down with a Sikkimese Hit Beer! The easiest way to sample all these flavors at one go is at the traditional family-run restaurant – Nine Native Cuisine, on MG Road in Sikkim’s capital city Gangtok. India is a land of food lovers and I am definitely a foodie – I like trying new cuisines wherever I travel. I absolutely relished the Gujarati platters on my recent tryst with Gujarat. 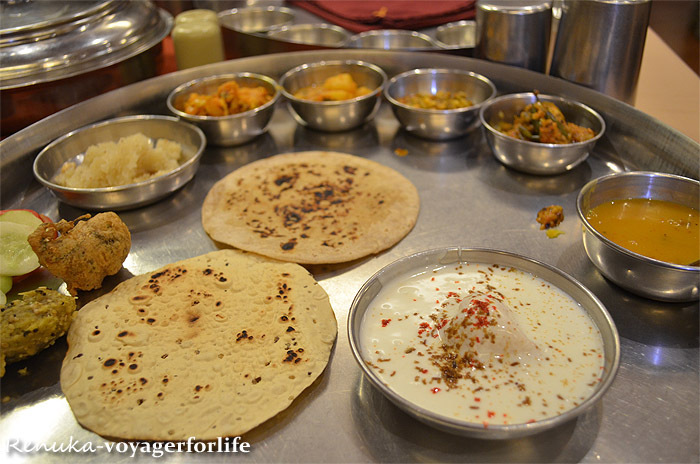 A typical Gujarati Thali comprises three to four veggies, sweet-spicy pickle, yoghurt, Rotli, Bajre ka Rotla and at least a couple of sweet items, such as Shrikhand, Jalebi or Gaajar Halwo. What I found truly unique about Gujarati food is that it’s a blend of flavours. The spiciness is perfectly balanced by the sweetness mingled in the food. To have the true-blue Gujarati cuisine, head to Kutch where people are more traditional and treat their guests with a lot of affection. Food in Kutch is more than just about eating, but it’s about absorbing the age-old culture. 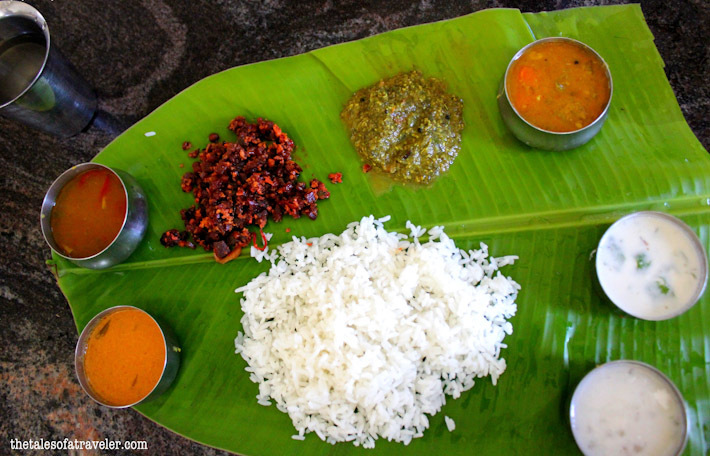 A trip to the southern parts of India is incomplete without devouring on sumptuous South Indian thali served on banana leaves and made of a selection of various South Indian dishes. There is no fixed rule on the number of dishes in the thali. All depends on the chefs and the restaurant’s choice and creativity. Most thalis consists of rice served with Sambhar, Rasam (South Indian soup prepared with tamarind juice in addition to pepper, cumin and other spices), chopped and fried carrots and beet root served with corinder leaves, fried papadum, curd, spicy mango pickle and a dessert called Kheer (which is prepared by boiling rice with milk and sugar, topped with fried cashew). The best place to indulge in one elaborate south Indian meal is at MTR, Bangalore which hails to be serving the best south Indian dishes since 1924 – #13 Lalbagh Road, Bengaluru. A savour lentil donut dunked in a traditional lentil soup and smeared with a healthy dose of ghee!!! While the description is long, the local’s simply know it as the Sambar Vada. I don’t know if there is some legend about how the vada, which is the donut, fell into the sambar, the soup, but seriously, no one here cares. The ghee on top and the chopped onions add a big ZING to the simple vada and sambar, but this is a case of how two dishes marry to give a flavour that is way beyond a simple addition of tastes. The beauty is also the variety of this simple dish. Southern Spice, a fabulous South Indian restaurant at the Taj Coromandel, serves it without the onions on top and their Sambar is super fabulous. Kapila Dasa, in the Express Avenue mall, serves it with a slightly sweet sambar, with a super generous serving of ghee and onions on top. Their Sambar vada is so good that they don’t serve the vada without it, unlike every other place I know of! It’s one of the rare South Indian dishes that you need a spoon to enjoy! 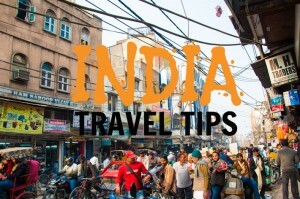 Amritsar, a city in the North Indian state of Punjab, makes it to the list of ‘must visit’ cities in India very often. The city is home to one of the most sacred sites of the Sikh religion – the Golden Temple. With its golden domes, marble flooring, sacred pool and sound of echoing hymns, few places give more peace of mind to the religiously inclined. Punjab is very famous for its rich and spicy food. Forget your diet and healthy eating fundamentals when you are here! Local delicacies include ‘makki ki roti and sarson ka saag’ (flat bread made with corn meal and a curry made with mustard leaves’, ‘rajma-chawal’ (kidney beans curry with rice) and ‘gajrela’ (dessert made with carrot, milk and dry fruits). 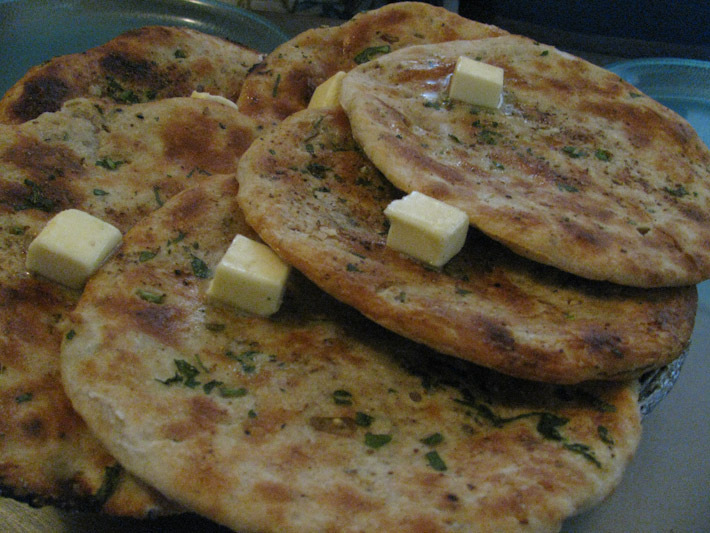 However, what delights us most is the ‘Amritsari Kulcha’. It is a dish to please the taste buds, the stomach and the foodie’s soul. The ‘Amritsari Kulcha’ is a leavened flat bread, stuffed with mildly spiced potatoes & onions and then baked in a traditional earthen oven i.e tandoor. If well made, the crust is crisp and flaky on the outside while the stuffing inside is flavoured and perfectly cooked. The bread is traditionally served with ‘chholey’ (spicy chick peas gravy), a dollop of butter, home made pickles and lots of sliced onions. Wash this sin down with a glass of ‘lassi’ (sweet yoghurt drink) and smack your lips. Ahhhh…I am drooling as I type this! While one will see a ‘kulcha’ stall at every nook and corner in Punjab, the best Amritsari kulchas that we have had till date (and this is coming from someone who has spent 25 years in Punjab) have been in Sanjha Chulha at Lawrence Road in Amritsar. Each kulcha costs about INR 35 and I haven’t seen many who can eat more than two kulchas. If you are in Amristsar, do treat your taste buds to the authentic Amritsari kulchas! India really is a melting pot of cultures. It was once several different kingdoms that were never meant to be one nation really. 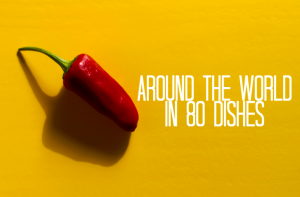 So picking an Indian dish is tough, because every region is starkly different. Here’s one from God’s own country – Kerala. It’s certainly on the map for most India travellers, and no trip there is complete without a taste of this delicious staple: Karimeen Pollichattu.This fish is best eaten fresh from the day’s catch, as you lie back, rocked gently on a houseboat making your way down the humid backwaters, shaded from the afternoon sun by coconut trees. Karimeen or Pearl Spot is a unique freshwater fish, prepared in a way that sings of provenance. 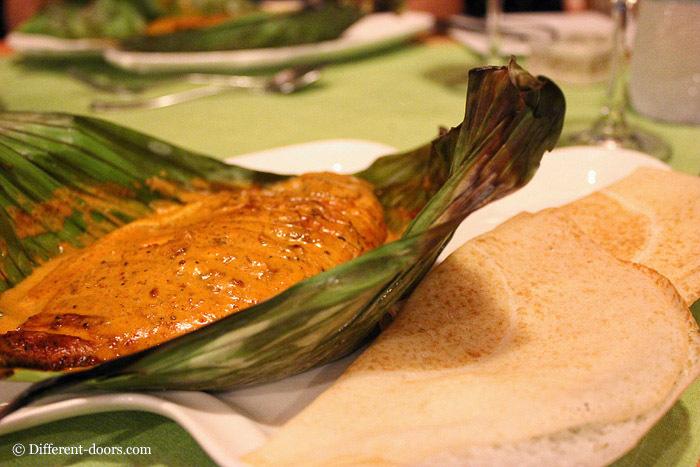 It’s cooked in a paste of spices, all neatly wrapped in banana leaves and then doused in coconut milk. There’s a hint of the sweet fragrance of bananas and coconut, to balance what could otherwise be a rather hot dish. Mopped up with a circular bread made of fermented rice flour called Appam, this is the perfect meal before a long afternoon nap. Lying there, in post prandial bliss, licking your fingers clean (don’t even try using cutlery) you’ll understand why Kerala is called God’s own country. 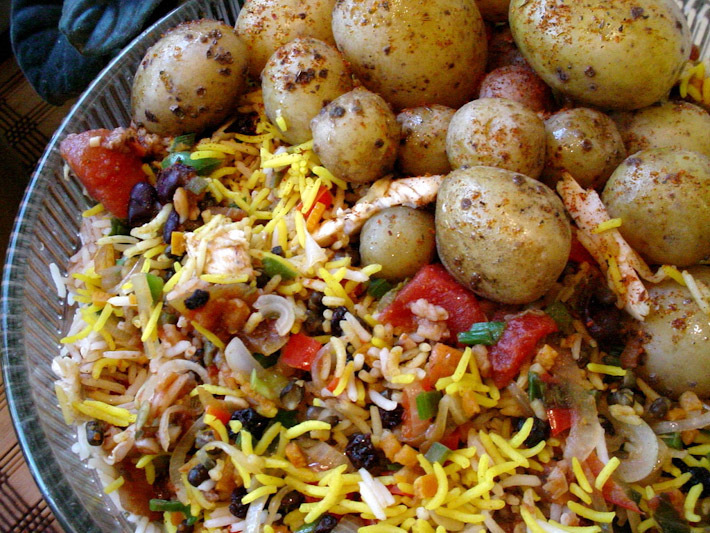 Biryani is not just for meat eaters, there are also vegetable versions of this dish. Doesn't it look delish? Though the Mughal’s have introduced Biryani to India and is savoured all over the country, the Hyderabadi’s have mastered this dish, making it a must eat when you are in this city. The uniqueness comes from cooking meat (usually mutton or chicken) and rice in a pot on a low flame, so that the rice takes in all the juices from the meat. Depending on your budget and location, you can relish this dish in any of the following restaurants – Bawarchi, Paradise, Shadab or Jewel of Nizam. The Hyderabadi Biryani has become so famous that you can find this all over the world, but there is nothing that can describe eating a Dum Gosht Hyderabadi Biryani (Hyderabadi Mutton Biryani) in Hyderabad. This iconic breakfast dish of South India originated in the South West part of the state of Karnataka. It is a crispy rice pancake that has flavored potato filling in it and has a dollop of unsalted butter on top. 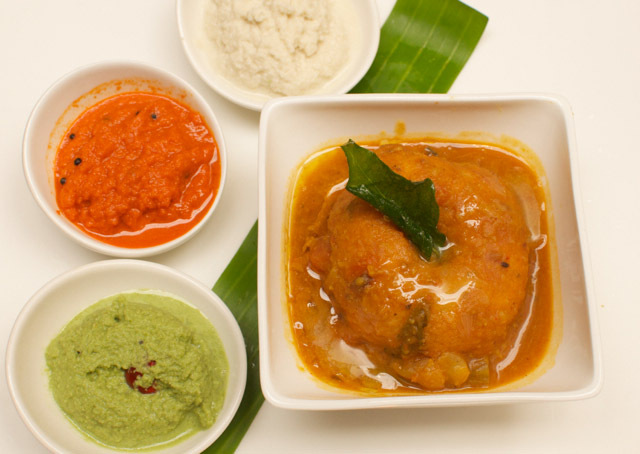 It is eaten with sambar (hot and spicy lentil and tamarind soup) and/or chutney (a thick sauce made from coconut or peanut with spices and tempered with curry leaves and mustard seeds). 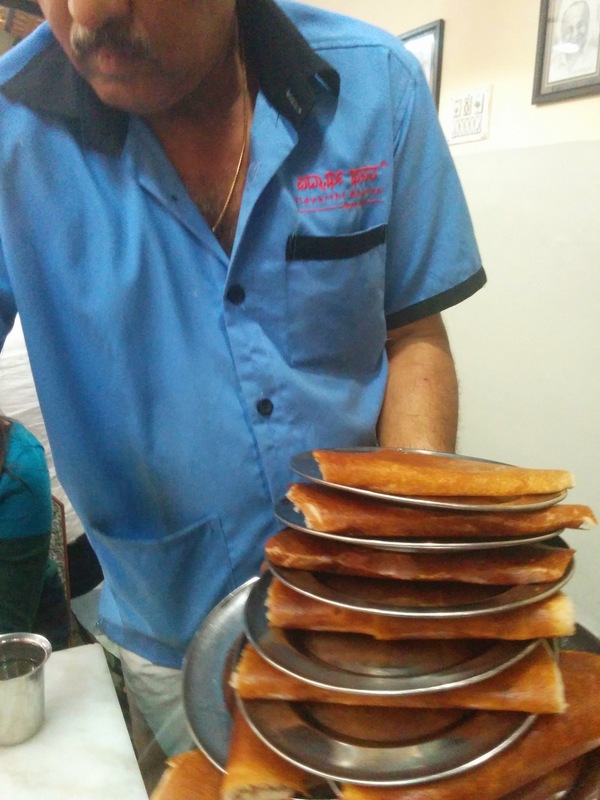 The Masala Dosa at MTR Foods, Bangalore is quite special. After moving to Pondicherry, the first time I went out for some drinks with my local friends, they insisted I try out this delicacy called “chaiyyo”. 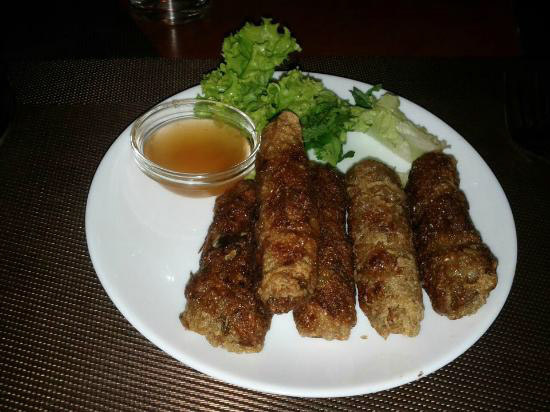 The crispy paper rolls, made of rice with a filling of anything ranging from meat of your choice to vegetables or sea-food, had a strong Oriental tinge to it. I wasn’t surprised to discover the dish itself is of Vietnamese origin. The delicacy is a gentle reminder of the link between Pondicherry & Vietnam – a connection created in colonial times (1800s), when both places were under French occupation. 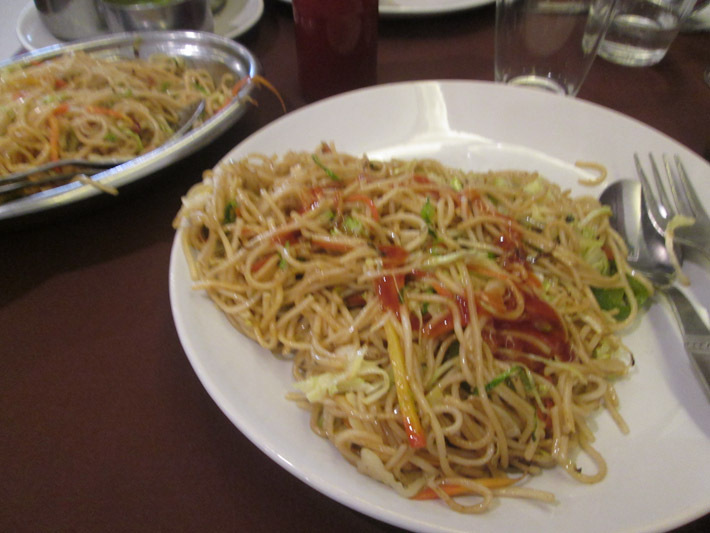 Although chow mein, the stir fry noodles is a Chinese dish, it is also very popular in India. Some people are calling it an Indo-Chinese dish. Some restaurants in Singapore have put this in a special category called “Chindian Food”. It is so popular that most restaurants in India will have them on their menu. You will also find stalls on the streets that make chow mein. The Indians have altered the taste a bit to cater for their own palate. You will find that the Indian version of this dish has slightly more spices. We tend to toss a bit of extra garlic, ginger, onions and chillies into it. Other ingredients that go on the side such as chilli and soya sauce are the same. There are two types of them in India: vegetarian and chicken. So when you are hungry and want something cheap and tasty, then I suggest you go for the Indian chow mein. Any journey to North India is incomplete if you haven’t sampled this delectable combination. To truly understand a culture, you have to taste its food. Friends have bonded, marriages have been arranged, wars have been declared, and even governments have collapsed around chai and samosas. Chai is the staple hot drink for most Indians. A hot brew of tea leaves combined with milk and sugar to taste, mix it all up and you have something you can socialize over. A samosa can best be described as fried dough with a spicy mashed potato mix inside that can include peas or other interesting intruders (onions, lentils, etc.) that add to the joy! They are usually accompanied with chutneys that are sour and spicy. In this case, we have a tamarind (imli) chutney that is a little spicy as well as a mint sauce that is quite cooling to the tongue. You will find Chai and Samosas in any major city in India. Most sweet shops (mithai wallas) will have them. There are also street vendors who sell Chai and Samosas or just Samosas. Look for tetrahedral dough (yes, that sounds quite scientific!) 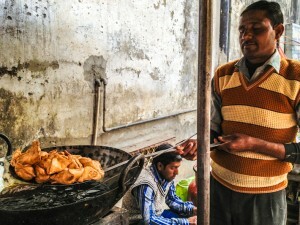 and you will be able to get fresh samosas that will be fried right in front of you! 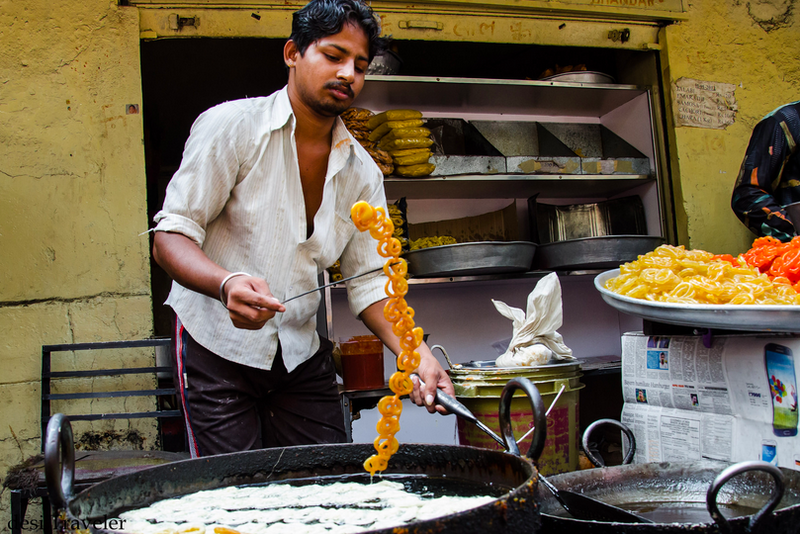 Few sweets invoke the passions that a Jalebi does in India. For a Jalebi takes you back to your basic instinct, when the aim is to extract every single drop of taste and flavor from the circular zig zag puzzle, dripping hot syrup on your clothes as you lick your fingers forgetting that garment called handkerchief. You are not just eating the yummiest street sweet in India; you are also competing with your friends as to who can eat more Jalebis. Eating a single Jalebi is sinful, and you are looking for straight road to high heavens, so you will need more than a dozen rounds. Visit by-lanes of Old Delhi, Jaipur or Varanasi to get the best hot Jalebis, and eat them right at the shop for Jalebis like friendship should never be allowed to go cold. In South India your best bet would be the Jalebi Shops near Hyderabad High court, owned by Halwais (sweet makers) who settled there during Nizam era. 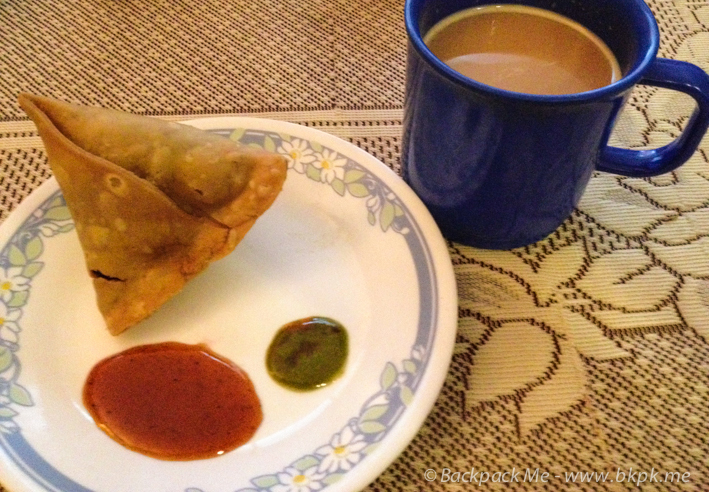 Doing the Indian thing: eating Samosas! Loved being part of this list! Amazing India, amazing food! I can’t resist the Amritsari kulchas…look so tempting! Thanks Renuka! You must plant a trip to Amritsar….and then feast your taste buds and Sanja Chulha….give us a shout if you want details of where the Amritsaris go to eat instead of where the tourists go to eat! Awesome, or may I say Delicious…. post.. .thanks for including me along with such August company…..
It’s always lovely to see what Indian food means to different people, seeing as there’s such a variety. Every dish on here is an absolute must try (all the best to travellers trying to “do” the subcontinent on a short trip) thanks for including us, and happy travels you two! Very true! People abroad often think of North Indian dishes when they picture Indian food, as that’s what most restaurants serve in other countries. People often don’t get how immense the variety is inside India. And even for Indians, it’s so exciting to discover new foods! Glad to be part of the post! Looking at the pictures, I feel like taking a couple of months off from work to do a foodies’ trip around the country! Ha! Glad you liked the top photo. Thanks for inviting me to be a part of this mouth watering post. We are glad to be a part of this mouth watering post… India is indeed Incredible, not just in terms of monuments, but also in terms of its culture, traditions & diversity. Look forward to be a part of many such ventures. Golgappa, idly, jalebi, biryani, south and Gujarati thalis… all amazing!! But Amritsar Kulcha is simply one of my favourites… and the Bengali fish is such a treat – I would make a trip to Kolkata just for that alone! That are SO MANY amazing Indian dishes… I think a lifetime in India is not enough to make justice to all of them! Happy to part of this delectable post … India is full of flavors….. Thanks for being a part of the article, guys! I think I underestimated India as a ‘paradise for vegetarians’ till I started travelling outside the country – now I really know what that means. Out of all the countries we’ve visited so far, it is definitely the most vegetarian friendly. In fact, I think it is the country and cuisine that, even on the vegetarian variation, keeps the most non-veg people happy. Personally, I LOVE the vegetarian preparations in India! Absolutely love some of these – especially the chayo (wish they had these in Bangalore!!!). Still have to try karimeen polichatthu and the Bengali fish curry….but thanks for stoking our appetite here in the office!